Tromso Chess Olympiad Aug 2014: Take a Cruise to Norway! 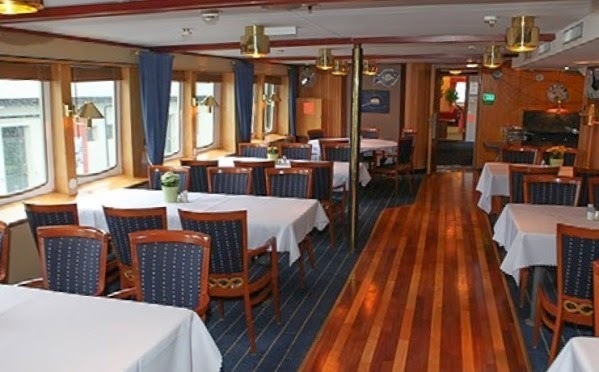 Hello chess friends, how about taking a cruise to the Chess Olympiad in Tromso this August? Here's a cool new offer via the official website for the Chess Olympiad. By the way, don't forget, Chess Queen Alexandra Kosteniuk is also the ambassador for the Chess Olympiad. 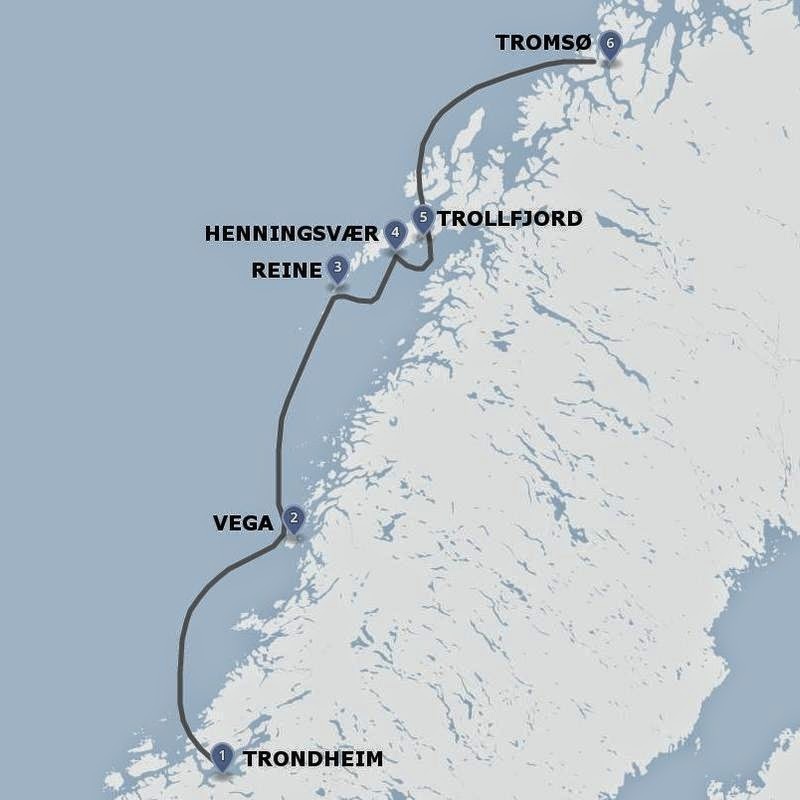 Vestland Classic has partnered with the Tromsø 2014 Chess Olympiad to offer both a unique cruise up the Norwegian coast from Trondheim to Tromsø and a floating hotel and tournament venue during the Olympiad itself. Depart Trondheim at 17.00.We sail out of the Trondheimfjord and take a northerly course across Folda towards Helgeland and Vegaøyan. In 2004 Vegaøyan was inscribed on UNESCO’s List of World Heritage Sites. On Vega you may join a hike in this unique egg and down site and also visit the ‘E-house’, a museum and documentation centre for eider ducks. Depart Vega at 15.00. We sail across the Vestfjord to the Lofoten Islands and Reine. Reine is a beautiful fishing village comprising 350 inhabitants in Moskenes municipality. You may join a guided coach tour from Reine to Henningsvær, an idyllic fishing village in Vågan municipality. The ship sails to Henningsvær in the afternoon. Overnight stay at the dockside in Henningsvær. Depart Vega at 13.00. Before departure we would recommend a visit to Galleri Lofotens Hus, which houses the largest collection of paintings from North Norway. We sail from Lofoten and Henningsvær through the Raft Sound, where the highlight of the day is the Trollfjord. This fjord is 2 km long and scarcely 100 metres wide. The Trollfjord is renowned throughout the world as one of the most beautiful fjords along the Norwegian coast. The voyage continues north towards Tromsø. We sail along the outer side of Senja, Norway’s second largest island, towards our destination, Tromsø, where we arrive at 07:00. 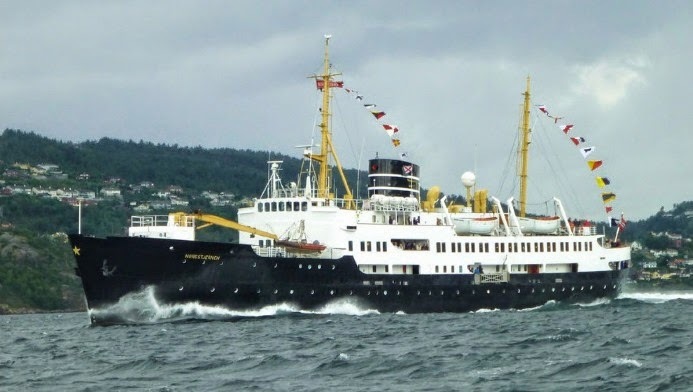 In Tromsø, the MS Nordstjernen will function as a hotel ship during the Chess Olympiad from 1 – 17 August. 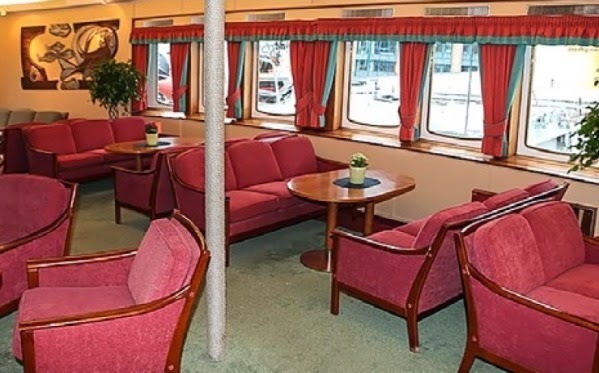 The ship has an intimate and historic atmosphere. Its saloons, restaurant and cafeteria have been preserved with their original artwork and style from the 1950s. Neat. This is the first time ever I am hearing of a cruise to a chess event.